Peres Projects is pleased to present a solo exhibition by Blair Thurman. 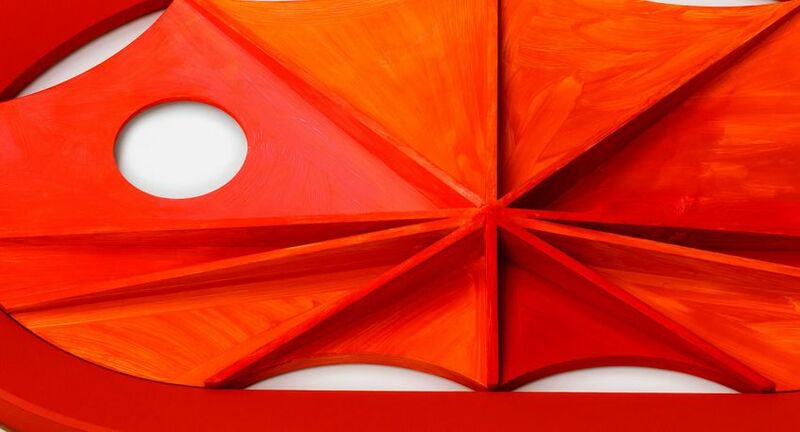 Thurman’s work can easily be situated at the crossroads of different influences—let us say Pop art, the abstract geometric art of the 1950s and 60s, Americana, one or two children’s toys, as well as various found forms. Through these forms he tries to create environments and independent works that transform the means of today’s advertising communication into poetic abstract works. Formally speaking, his very unusual work is nevertheless marked by that of artists he has known well—Steven Parrino, who was a close friend; or Nam June Paik and John Armleder, both of whom he worked with extensively. Thurman’s artistic world has sometimes been described as the stringing together of boyish obsessions—cars, racetracks, guns, or a certain adolescent imagery. But we should not be mistaken about the significance and place of these elements in his oeuvre. His work is not “about” cars, toys, and so on, rather, it is about painting. Or rather, initially, it will be as well to reverse this deduction: for him art is a boyish obsession. Blair THURMAN’s (b.1961, US) practice connects diverse cultural and symbolic facets of Americana with Pop Art and abstract geometric art of the 50s and 60s. Drawing on influences such as his passionate collecting of model cars and other personal imagery, Thurman’s shaped canvases exist on the periphery of both painting and sculpture simultaneously. Recent solo exhibitions include Peres Projects, Berlin, Gagosian Gallery, New York and Geneva, The Centre National d’Art Contemporain, Grenoble, Oklahoma City Museum of Art as well as in Galerie Andrea Caratsch in St. Moritz.